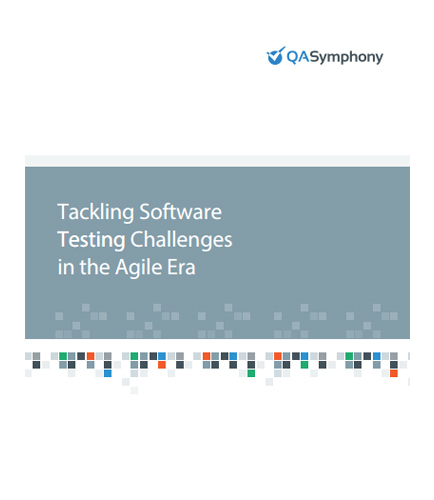 "What You Need to Know About Software Testing in the Agile Era"
An insight into the current testing challenges and trends, ways to approach a vast range of testing projects. The software testing industry is undergoing rapid and far-reaching changes driven by major shifts in the software development landscape.This creates a new set of challenges for testers to have the right balance between automated, exploratory, and user-acceptance testing, to help build great products. The traditional procedures and techniques that have served QA departments in the past are no longer enough. How the best testers break down the testing process into a simple trio of questions: why, what, and how. How to identify the right balance of testing methods to establish a comprehensive testing strategy. When and how to use exploratory testing to help address the pressures of modern development, continuous deployment and fast feedback loops. Software testing is a process used to determine the exactness and quality of developed computer software. It includes a set of activities conducted with the intent of finding bugs in software. In a nutshell it is a process to check whether the absolute results match the expected results and to make sure that the software system is error free.